Barbara Edwards Contemporary, Calgary is pleased to present an exhibition of work by current students and recent graduates. Curated by Associate Director Tara Westermann, HAND PIC’D 2014 features the work of four young artists at the start of their respective careers. This exhibition offers a preview of the unique talents emerging on the art scene. 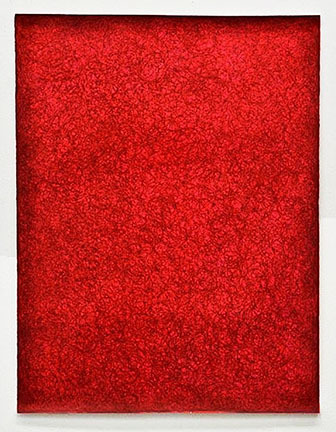 Arkatyiis Miller’s colored pencil works integrate an intense process of repetitive mark making with a passion for color. 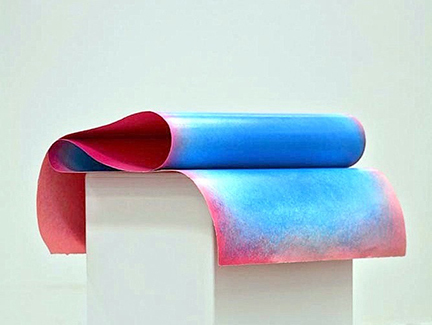 Forcefully covering her papers with bright pigment, the works are ultimately presented as sculptural objects. Process is equally important for Solveig Agecoutay. 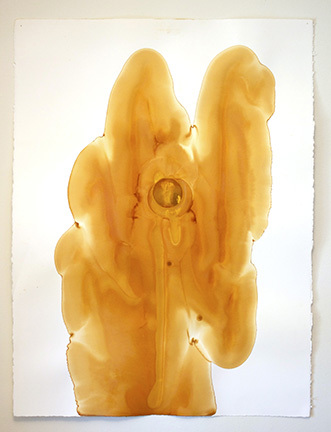 Her works on paper involve a uniquely developed application process that balances control and chance occurrence. 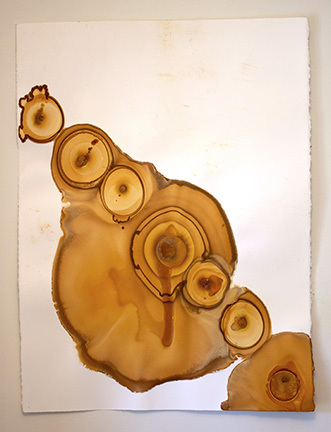 While the artist ultimately creates these pieces the resulting images resemble something organic and naturally occurring. 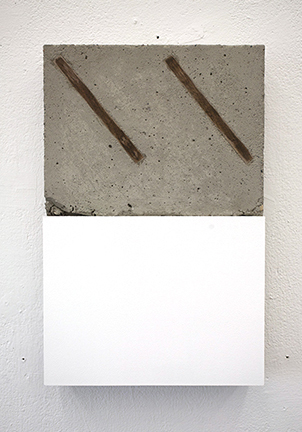 Svea Ferguson’s sculptures are investigations into the potential of materials. 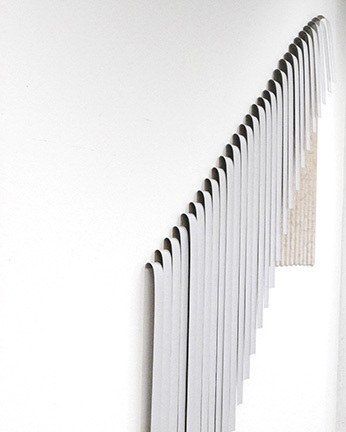 She uses manufactured flooring to make large constructions that interact with the interior space. Ferguson transforms these mundane materials into objects of beauty. 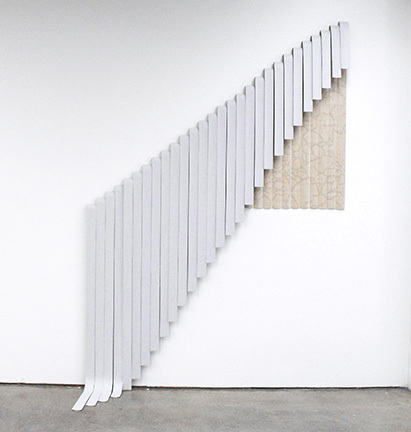 Jack Goertz’s wall mounted sculptures show a similar curiosity about materiality. 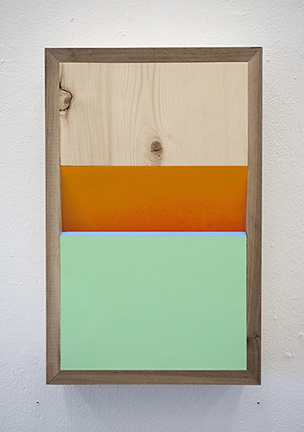 Combining raw materials with bright paint his constructions investigate the relationship between painted abstraction and unfinished, industrial surfaces. pencil crayon on cotton rag paper, 45" x 32"
pencil crayon on cotton rag paper, 84" x 22"
rusted dye on paper, 30" x 23"
vinyl flooring, 108" x 96" x 3"
pine, walnut, MDF, acrylic paint, 20" x 13"
concrete, drywall, walnut, latex paint, 16" x 10"